There is always a list of laptop accessories that you need. The item that always seems to top that list is a mousepad. I mean you can't even use a mouse without a mouse pad! While mouse pads are relatively inexpensive, so many of them just are plain ugly. Luckily for y'all, I've got the perfect DIY mouse pad! 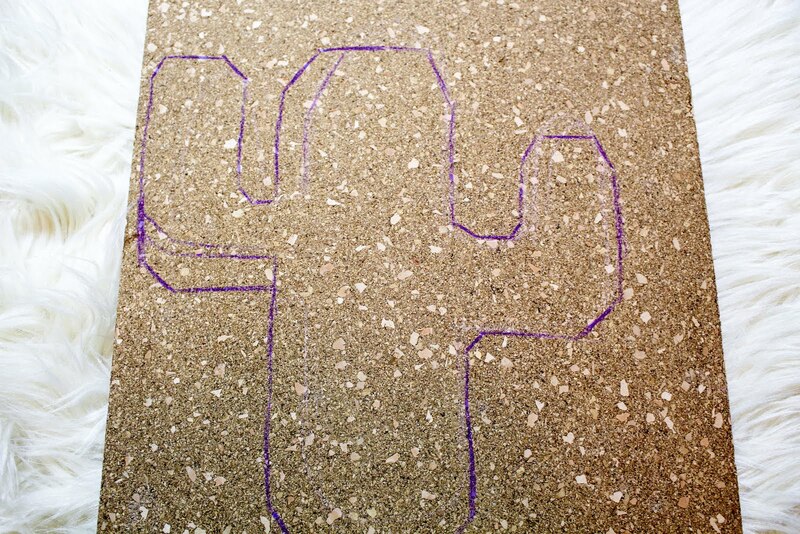 I'm all about the cacti theme that is in style currently (landscape architecture nerd here! 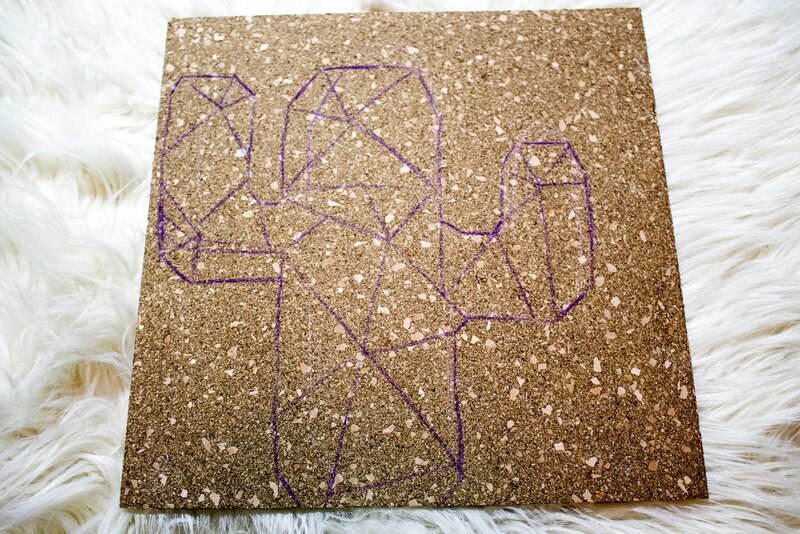 ), so when coming up with a design for my DIY mouse pad I settled on making mine a cactus. 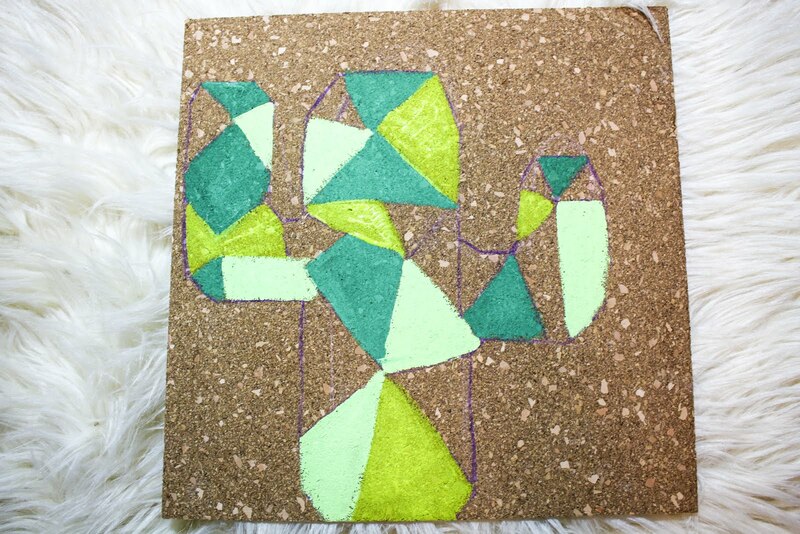 I've seen this geometrical pineapple on Pinterest and loved the design, I decided I would apply the geometrical look to my cactus DIY mouse pad! 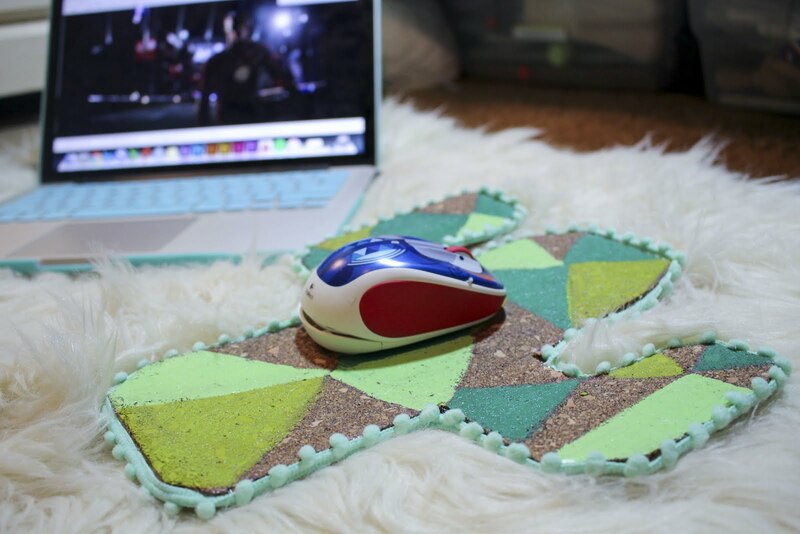 I hope you enjoy this DIY mouse pad! Comment below if you do! 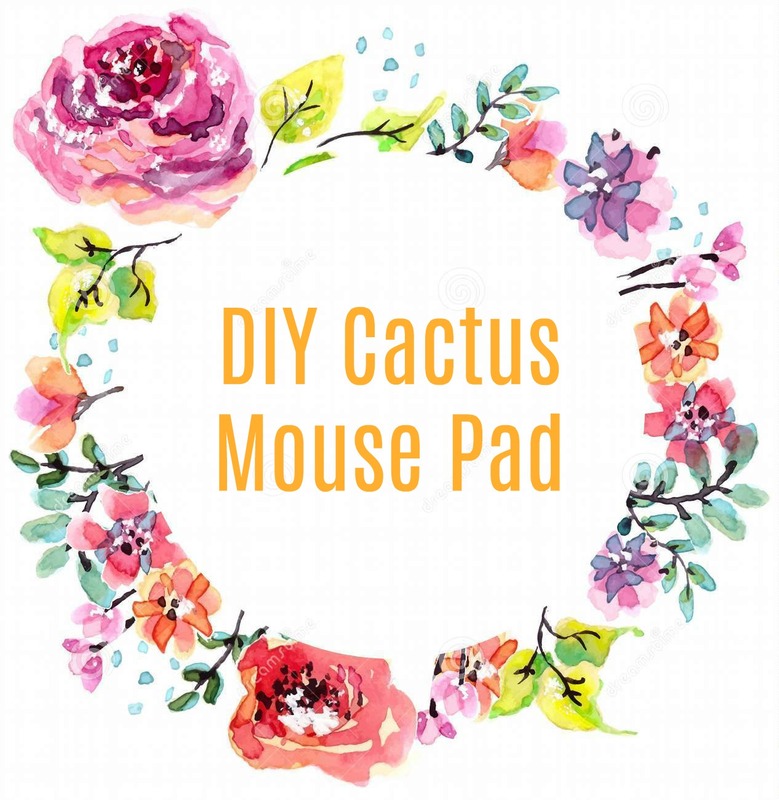 To begin, take a colored pencil and begin outlining how you want your cactus DIY mouse pad to look. This took me a few times to actually get it how I wanted. Luckily, it's very easy to erase pencil on cork! 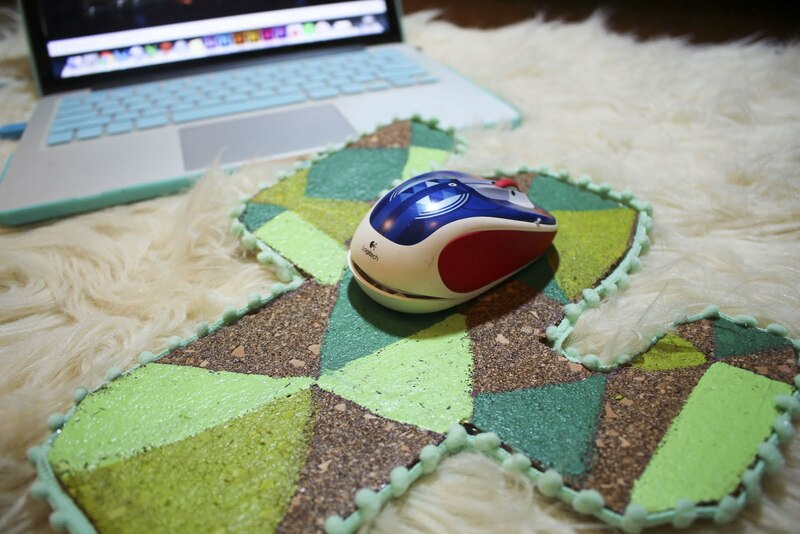 After you have the shape lined out, start drawing the geometric pattern on your cactus mouse pad. Next, determine what colors you want in what geometric shape. You want to make sure the same color isn't side by side. I even left a few blank to let the cork show through. 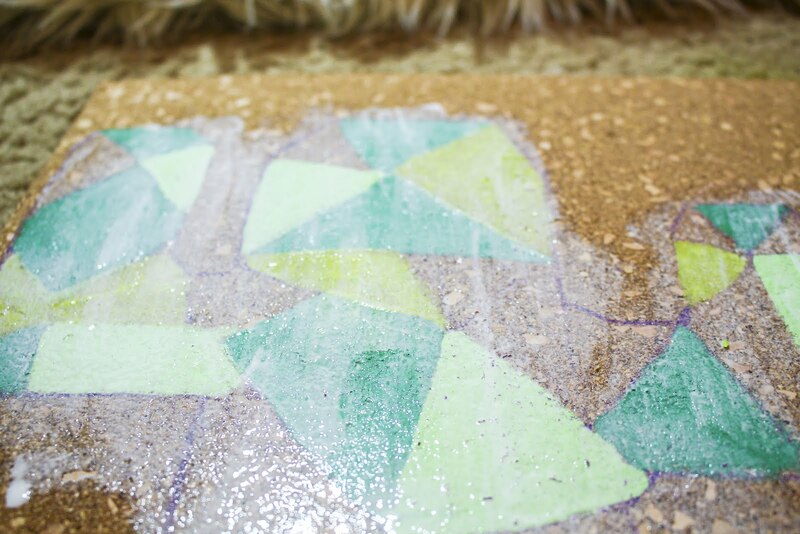 Once you've determined each geometric color, simply begin to paint the shapes! 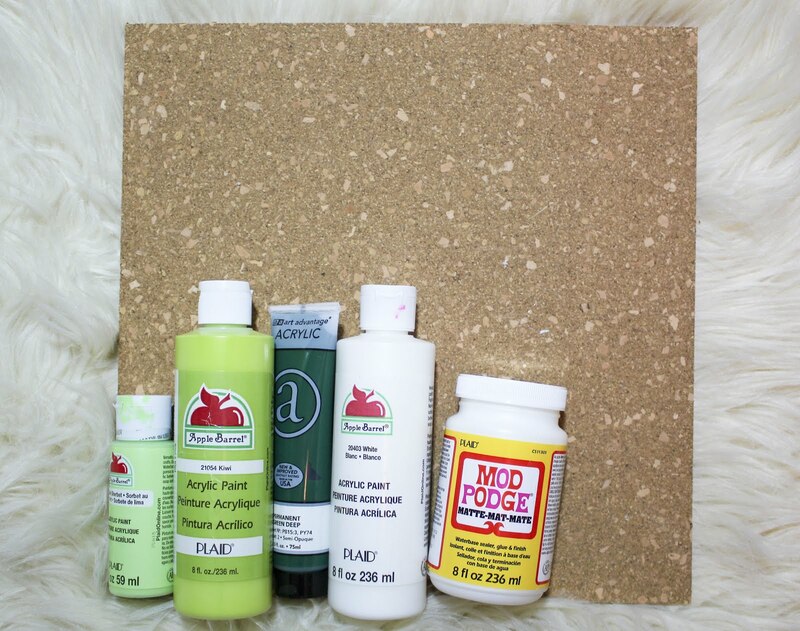 Once all your paint is dry take some glossy mod podge and give your DIY mouse pad a nice coat. Now once the mod podge is dry, cut out the mouse pad. 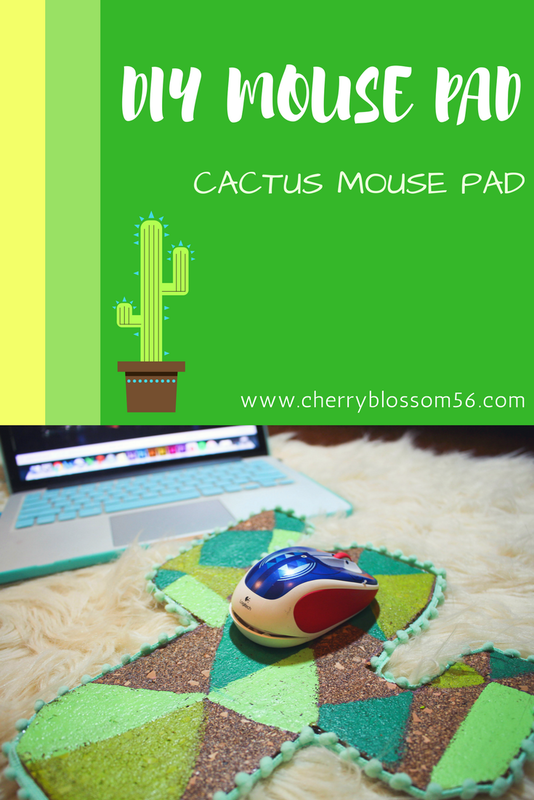 Finally, take your ribbon and begin to glue it around the perimeter of the DIY cactus mouse pad. 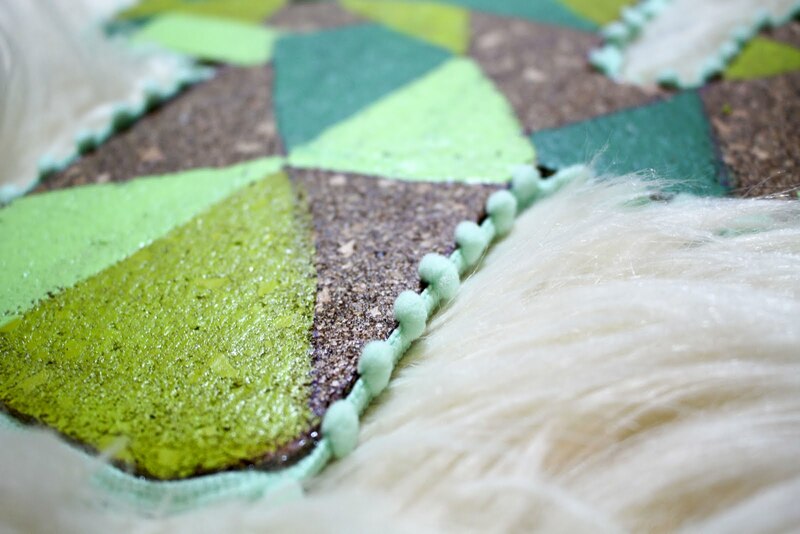 Once that is all glued, you are good to start surfing the internet with your fancy personalized mouse pad!